My boyfriend and I were looking for a fun costume idea that we could make that no one had done before. We bounced some ideas off of each other and finally came up with Aladdin and Jasmine because it’s our favorite Disney movie! My roommates and I went to Walmart to buy all of the fabric and jewels. 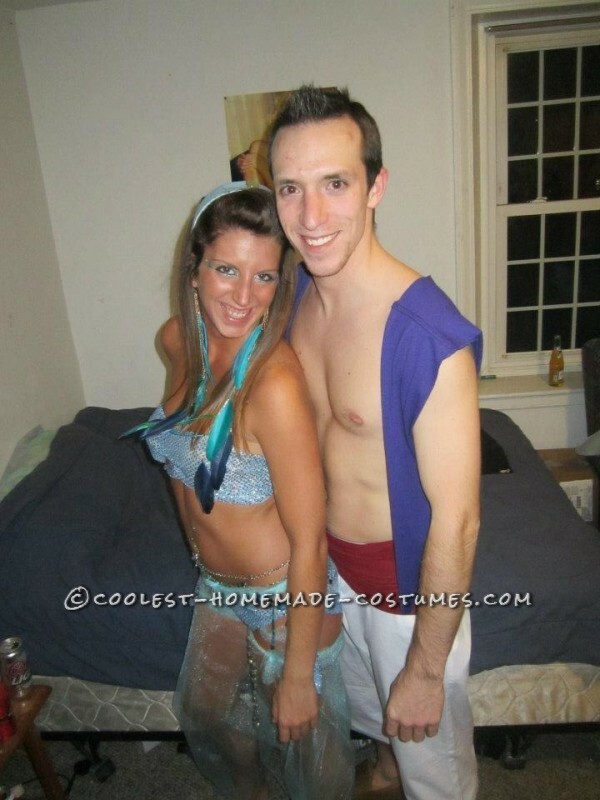 I made the Aladdin costume ahead of time, it was so easy! You take a purple shirt and cut it up as a vest, then get some white work pants and scrunch them up at the bottom. I cut up an old tank top for the maroon band around his waist. My costume was a little more complex. I took a regular headband and super glued the fabric on to it with the jewel on top. Then I made the bottoms by cutting up the fabric and tying it to my legs to make sure it fit. The top was sewn together by my roommate. 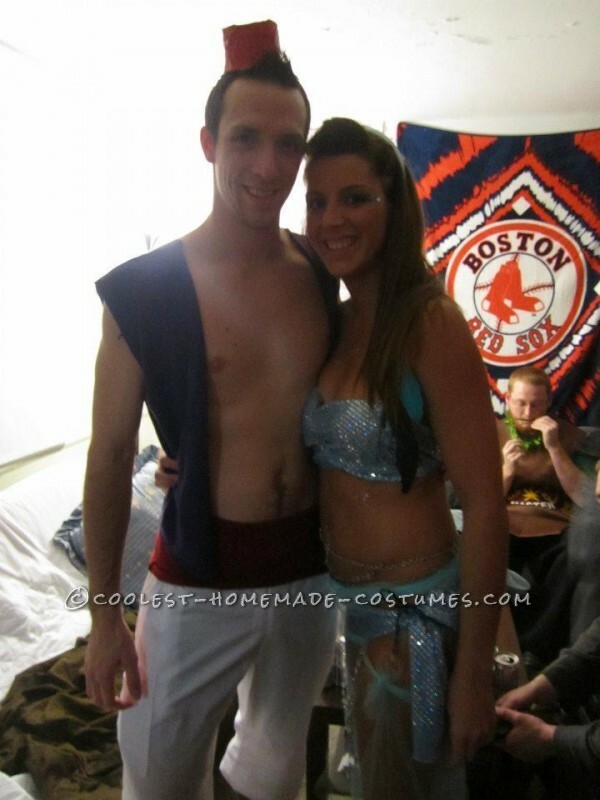 We waited until the last minute to make the costume, we were sewing while everyone else was pregaming! But it turned out great. I had a chain belt that I wore as well as lots of blue sparkley makeup! Everyone at the party loved it! One of our friends was even a monkey so that fit in to our costume as well. This is defiantly one of my favorite costumes, I even let one of my friends wear it with her boyfriend the next year because they liked it so much.